It’s been about two weeks since Microsoft Office 2016 public preview for Windows is available to download. Office 2016 is a desktop suite and different from the touch-friendly version of Office for Windows 10. Office 2016 is compatible with Windows 7, Windows 8, Windows 8.1 and Windows 10. 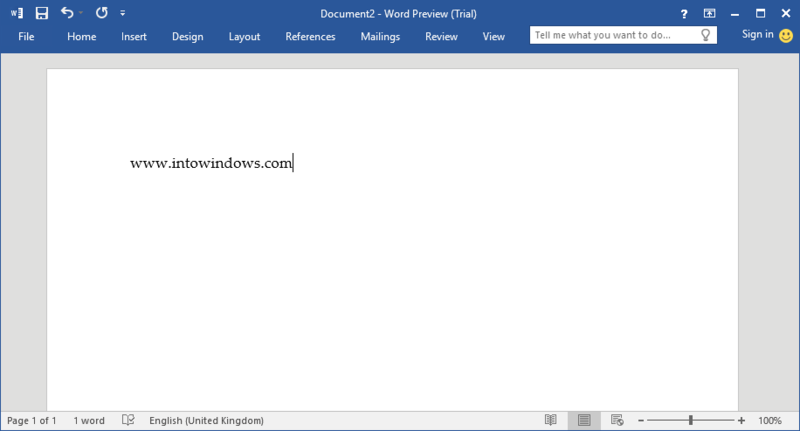 In this guide, we will show how you can install Office 2016 Preview on Windows 10. Note that these directions work on Windows 7 and Windows 8/8.1 as well. Before beginning to download and install on your PC, please uninstall any previous version of Office from your PC as Office 2016 and previous Office version can’t be installed on the same PC. In other words, Office 2016 cannot be installed on a PC where Office 2010 or Office 2013 is installed. If you have a previous version of Office, please follow the given below instructions to uninstall the previous Office installation. Step 1: Type Programs and Features in Start menu search box (Windows 7) and then press Enter key to open the same. If you’re on Windows 8.1/8/7, open Run command box by simultaneously pressing Windows and R keys, type Appwiz.cpl in the box and then press Enter key. Step 2: Look for Office 2013 or Office 2010 entry. Right-click on Office 2013/2010 entry, click Uninstall option and then follow on-screen instructions to remove the software. Once Office 2010/2013 is uninstalled, please reboot your PC. Now that you have uninstalled previous Office installation, make sure that you have at least 5 GB of free space on the drive where Windows is installed. If you don’t have sufficient free space, please delete unnecessary files and uninstall programs that you don’t use anymore to free up some disk space. Complete the given below instructions to install Office 2016 Preview on Windows 10. Office 2016 Preview includes Word, Excel, PowerPoint, Publisher, Access, OneNote, and Outlook applications. You can’t choose what applications to install during the installation. Step 1: Visit this page of Office 2016 and download the click-to-run installer for your 32-bit or 64-bit Windows. Be sure to download the right version of the installer. At this moment, the offline installer or full setup of Office 2016 is not available. We need to run the downloaded click-to-run installer in order to download installation files and install Office applications. Step 2: Run the downloaded click-to-run installer to begin downloading required installation files. 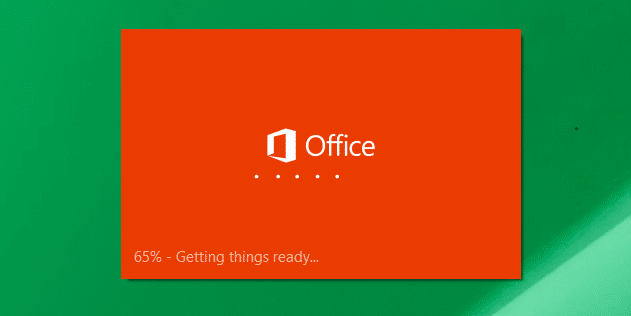 Once the download is complete, Office 2016 will be automatically installed in the background. During this time, you can continue using other applications without any issues. NOTE: There is no way to change the default download directory while installing Office 2016 Preview. Although the option will be available in the final version or when the offline installer is released, there is no such option in the current preview build. Once Office 2016 is installed, you’ll see “Installation is finished” message. That’s it! 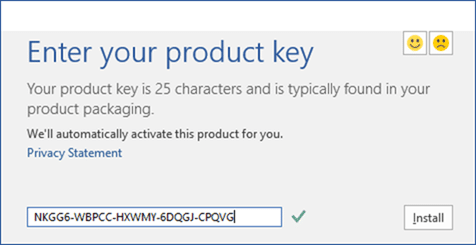 Step 3: After completing the installation, launch any Office application, enter NKGG6-WBPCC-HXWMY-6DQGJ-CPQVG product key when asked to activate Office 2016 Preview. 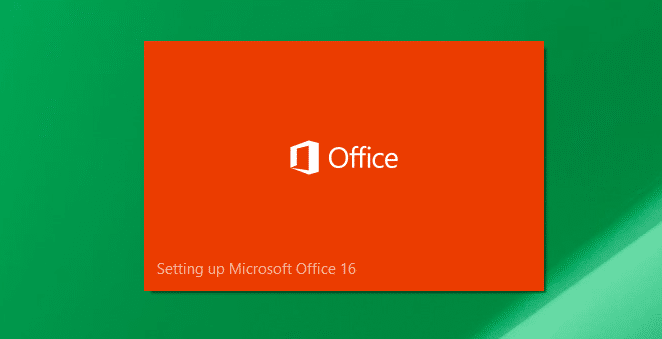 Good luck with Office 2016. Thank you for your solution above. I bought a new HP laptop and MS Office 2016 for A$2500. When installing Office, an error message appeared. A pop up box from MS support said someone will call me to resolve the issue. A day later, a gentleman with heavy Indian accent called, and asked to install Deskroll so he could diagnose the problem. He claimed The MyDoom virus has infected my brand new Laptop via Wifi connection. I have to buy the firewall antivirus for $99 pa subscription. There is no other solution, he emphasised. Otherwise my MSOffice activation code will expire within 24 hours. Smelling a rat, I told him I will seek another solution or return the product to the retailer JB Hifi. I found your site, and did exactly that. MIcrosoft …. B Gate and Satya, you have stooped really low this time. There is no way to change the default download directory while installing Office 2016 Preview. Although the option will be available in the final version or when the offline installer is released, there is no such option in the current preview build.